The #17 Belgian Audi Club Team WRT Audi R8 LMS, piloted by Frédéric Vervisch and, taking the second stint, Stuart Leonard, took the chequered flag to win the second race of the day in the Blancpain GT Series Sprint Cup, 0.586 seconds ahead of the sister #1 Team WRT Audi, with the driver line-up of Christopher Mies and Alex Riberas, to complete an almost perfect weekend for the team. Taking the final podium position was the #66 Attempto Racing Audi with Steijn Schothorst, behind the wheel of the car he shares with Kelvin van der Linde, finishing 0.694 seconds behind the #1 car. Victory in the Pro-Am class went to the#26 Sainteloc Racing Audi driven by Markus Winkelhock and Nyls Stievenart. The #26 car was pushed hard to the line, however, by the only other remaining Pro-Am entry still running at the finish, the #39 TP12, Kessel Racing Ferrari F488 GT3, piloted by Carlo Can Dam and Piti Bhirombhakdi. 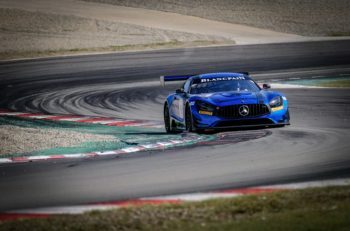 Jack Manchester and Nico Bastian, driving the #90 Akka ASP Team Mercedes-AMG GT3 won in the Silver category won on the track but were penalised for involvement in an accident on the opening lap, handing the class victory to the #37 3Y Technology BMW M6 GT3 of Andrew Watson and Lukas Moraes. Frédéric Vervisch led the field away from the grid but there was carnage on the opening lap of the 60-minute race after Andrea Calderelli, driving the #19 GRT Grasser Racing Team Lamborghini Huracán GT3 went into the gravel, and retirement, at Druids. This was quickly followed by contact between the two Team Parker Racing Bentleys and the #35 SMP Racing by Akka ASP Mercedes with Alexey Korneev at the wheel. The incidents brought out the safety-car which neutralised the race for over ten minutes and depleted that Pro-Am and Silver categories to just two cars in each. As racing resumed Christopher Mies, piloting the #1 Belgian Audi Club Team WRT Audi R8 LMS and who had moved into second at the start, pushed Vervisch hard and, as the driver changes approached, was just 0.623 seconds behind the leader. Mies pitted early and, for a brief period, Raffaele Marciello in the #88 Akka ASP Team entry led the race. After the driver changes had cycled through, Stuart Leonard, now at the wheel of the #17 Team WRT entry, held the lead with Alex Riberas in the #1 car half a second behind. The #66 Attempto Racing Audi was also in the mix with Steijn Schothorst less than a second behind Riberas in third. Pushing as hard as he was, Riberas was shown the black-and-white flag for infringing track limits and received a final warning. Schothorst was also warned about the same offence. The winner of Race 1, the #2 Team WRT Audi, had struggled with pace throughout the race and Dries Vanthoor finally had to retire the car in the final 10 minutes with an issue with a rear wheel. Mindful of potential issues with track limits, Riberas maintained second place and Stuart Leonard took the chequered flag just over half a second ahead of the #1 car, securing the second 1 – 2 of the day for Boudour, Belgium-based team. 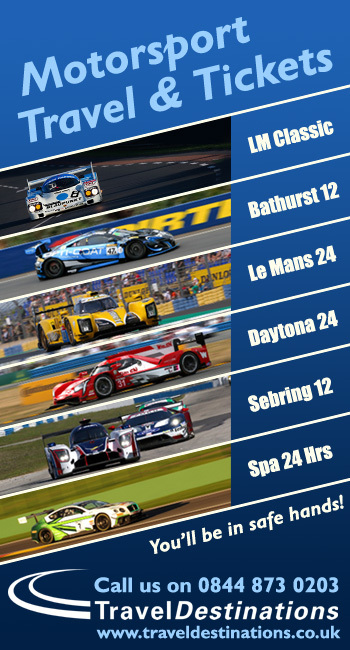 The drivers of the #1 entry were frustrated that the driver change had cost them time. 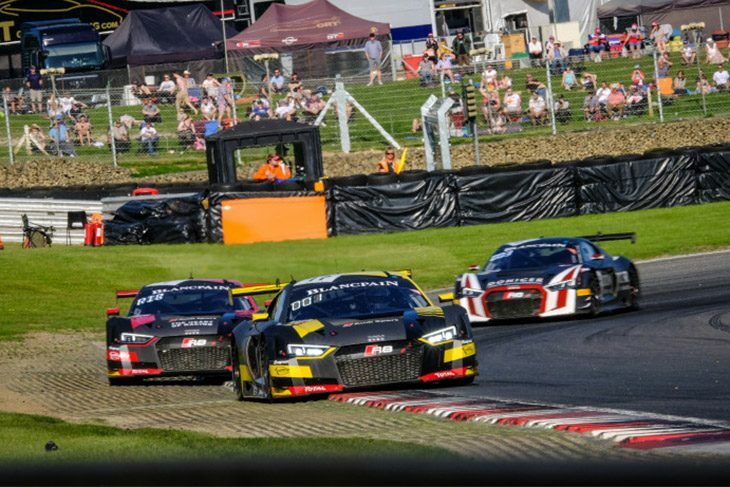 Belgian Audi Club Team WRT leave Brands Hatch leading the Teams standings on 80.5 points, 25 points clear of Attempto Racing, while Alex Riberas and Christopher Mies lead the Drivers standings on 58.5 points, just three points ahead of Dries Vanthoor. 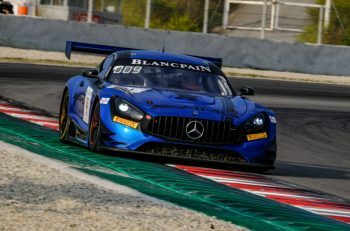 The Blancpain GT Series now moves to Silverstone on May 18/20 for Round 4 and the second Endurance Cup event of the 2018 season.